Our wood flooring from world class manufacturers Woodpecker, is favoured by many discerning customers due to it’s beauty and versatility. Perfectly suited to any environment including the home, the workspace, leisure and entertainment centres and retail settings. Both laminate or solid wood floors from Woodpecker represent some of the highest quality flooring available in today’s market. Woodpecker solid wood flooring uses hardwoods like walnut and oak, carefully selected from managed sustainable forests in Europe and the Americas. The detailed texture of the wood is enhanced by a variety of finishes giving exciting hues, grains and textures. Patterns, knots and colour variations within the wood add to it’s individuality and uniqueness. 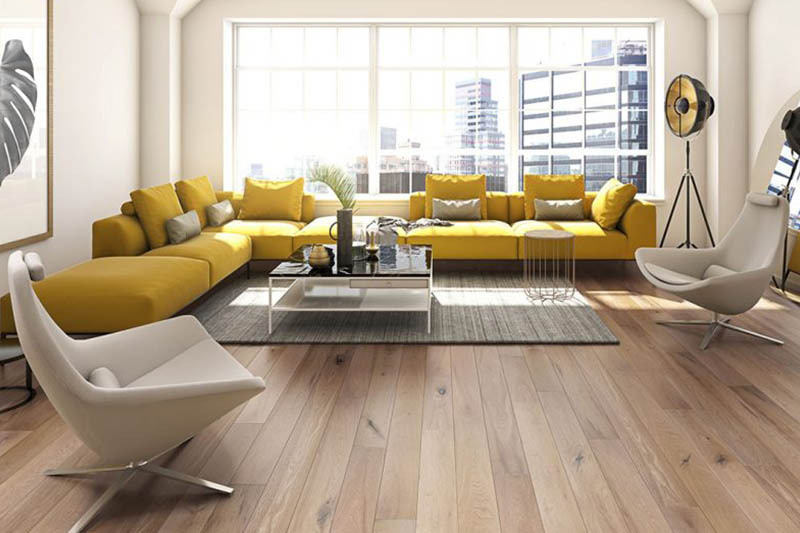 Elegant homes look amazing with chic wood floors in Washed Oak, or an equally impressive vibrant floor with individual grain to make a bold statement. wherever there is heavy foot traffic. The wood used is sustainably harvested and has full FSC and PEFC certifications. Engineered wood is virtually indistinguishable from solid wood to the naked eye, with it’s gorgeous textures, subtle shades and exciting effects. It represents an incredibly versatile and practical alternative to wood without losing any of the aesthetics. Engineered wooden floors are designed to avoid possible problems like warping where there is underfloor or central heating. These floors remain stable with changes of temperature, making them an ideal option. 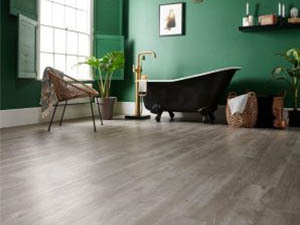 This flooring choice still uses sustainable sources, but is constructed differently by layering natural wood, softwood and high density fibreboard or plywood. There is a base layer of veneer completing the process for a tough, long lasting finish. The results are stunning as with the charmingly rustic Salcombe, and engineered wood flooring graces many spectacular interiors. Not strictly wood, in fact bamboo is from the grass family, it can be formed into extremely hard wearing floorboards and is very eco-friendly. It possesses all of the qualities of hardwood, and displays it’s own special grain patterns. Woodpecker use a strand weaving method to transform bamboo into flooring, which compresses the fibres. The product they are left with has a tensile strength similar to steel. An amazing array of growth rings, natural fibres and knuckles can be found in the Oxwich bamboo cane range. Modern production techniques mean that high quality laminate from Woodpecker can tick just about every box. Hard wearing, scratch resistant and durable, this affordable flooring material remains the popular choice for many. Laminate provides an exceptional simulation of real wood, with a wood grain printed foil surface, and a resilient transparent top layer. Woodpecker laminate floors feature an Easiloc joint system for easy glue-less fitting. Stylish homes are created with wonderfully whitewashed boards or inspirational rustic looks. Moisture resistant Brecon laminate is ideal in all settings, and features built in underlay.